All treats and no tricks! Have a spooktacular time with the family and enjoy fang-tastic treats this Halloween. Php 5,500 nett inclusive of an overnight stay in a Deluxe Room and buffet breakfast for two (2) persons, use of the hotel facilities and two (2) complimentary tickets to the Halloween activities on October 29, Sunday. Come in your most boo-tiful costume to win a prize. 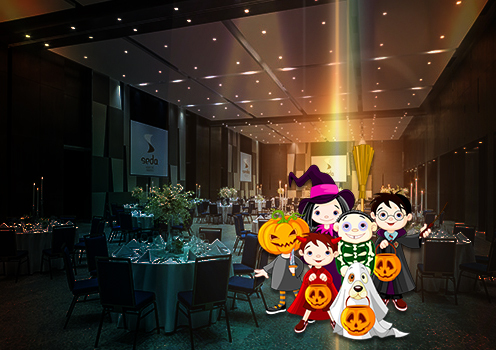 Quezon 1 Ballroom Halloween activities are available to in-house guests and restaurant patrons dining on October 29, 2017.